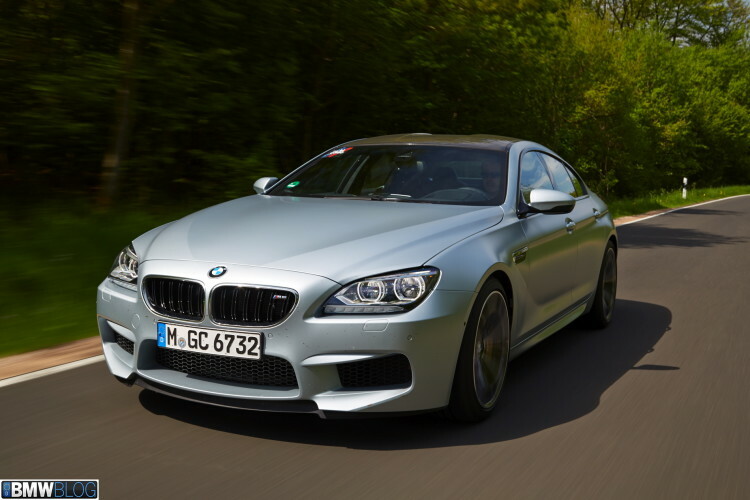 One of our favorite BMW M cars in recent years has been the BMW M6 Gran Coupe. For some unknown reason, it’s been a very special car that has an intangible greatness to it that the F10-generation BMW M5 just didn’t have. Despite being pretty similar, mechanically, the M6 Gran Coupe just felt like it had that special sauce that always made M cars great, while the M5 lacked it and, oddly enough, so did the M6 Coupe. And now that the M6 Coupe has been laid to rest and the F10 M5 replaced, the M6 Gran Coupe is the only car left from its era. So how does it stack up today? Matt Farah finds out in this new episode of The Smoking Tire. Before we get into how it drives, can we just take a minute to appreciate just how good looking the BMW M6 Gran Coupe really is? It’s a stunningly pretty car; incredibly long, low and lean, making it seem aggressive and mean. And that pseudo double-bubble, carbon fiber roof is awesome as well. It looks equal parts menacing and seductive. Even on the inside, it still looks great despite being quite old now. That waterfall effect on the dashboard and the great looking seats make for a very welcoming, luxurious cabin. As for how it goes, though, it seems to still be a flipping rocket ship. With 560 hp and 502 lb-ft of torque from its 4.4 liter twin-turbocharged V8, the BMW M6 Gran Coupe is capable of 0-60 mph in under four seconds and, according to Farah, has a top speed well beyond BMW’s claim of it being limited to 163 mph. We can’t officially see how fast Farah went in the M6 but judging from the rate at which the scenery passed him by, we’d say it was very, very fast. What’s impressive is that, for such a long, heavy car, it seems so surprisingly nimble. Small steering inputs seem to make it dance quite easily and it never seems taxed hustling those mountain roads. It’s really quite remarkable. And Farah seems really impressed by it as well. Now that the BMW M6 Coupe is dead, the Gran Coupe variant is all we have left and it, too, will be leaving soon. So we must cherish it and appreciate it while it’s still around. And then we must buy then second-hand because they’re going to shoot up in value in the coming years.